Swedish telco giant Ericsson falls into that category. What’s their secret? “When technological challenge comes around, we accelerate, and we’ve been challenged for 140 years,” Torstensson continued, pointing out that change and innovation is an eternal story and the only thing you can be sure of—from a technological perspective—is that nothing gets easier. 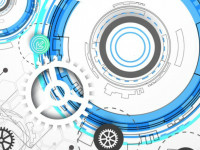 This makes for a profound transformation, and PLM—or rather, a product innovation platform—plays a key role. Torstensson is referring to Dassault Systèmes’ 3DEXPERIENCE platform, which Ericsson decided to implement two years ago. Why did they choose 3DEXPERIENCE? Is the platform doing its job? 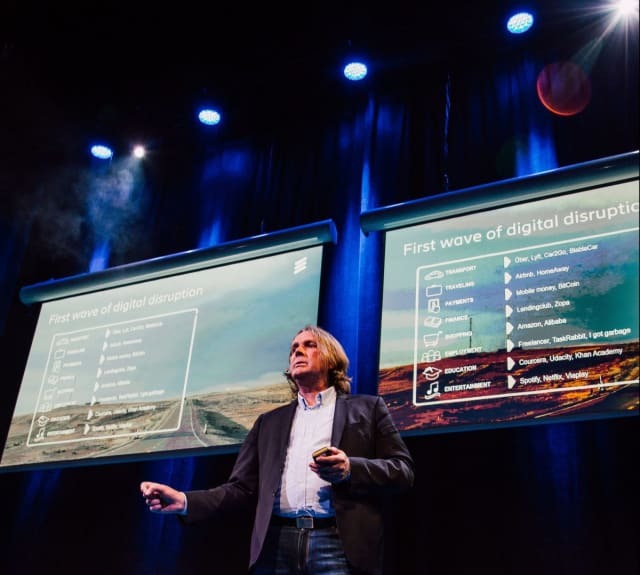 How do the forces driving digital transformation affect Ericsson and other companies? Today, Ericsson is transforming. It has been a painful journey–including tough down-sizing measures and new business priorities–but they are well on their way. As the fifth largest software company in the world and a 5G technology leader, Ericsson is by every definition a big business. The company has a market presence in 180 countries, with 40 percent of the world’s mobile traffic running on systems supplied by Ericsson, and there are some 25,000 people in R&D and other departments working on the PLM platform. WHY DID ERICSSON CHOSE DASSAULT'’S 3DEXPERIENCE? “There are several important reasons, but the roadmap to the future, the partnership that Dassault offered on the journey and a common easy to use GUI were important,” says Ericsson’s CIO, Johan Torstensson. 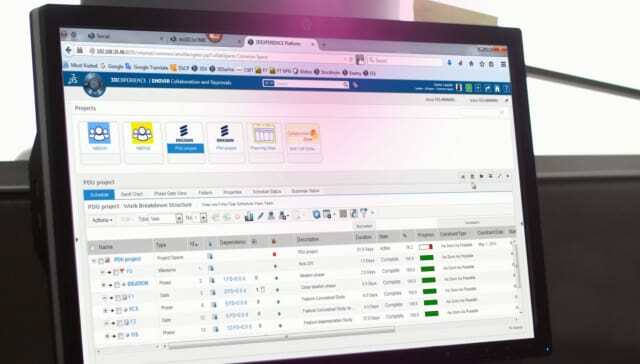 He claims that the 25-year-old mainframe-based PLM system Ericsson swapped for 3DEXPERIENCE couldn’t meet the company’s digitalization requirements. It’s no surprise that businesses are changing in response to ongoing digitalization. Ericsson itself is a good example of how dramatic this shift can be, with the move from being a hardware company to a software, electronics and services player. This shift has been painful, particularly when Ericsson went through–in some respects, is still going through–a tough period of downsizing, eliminating areas that weren’t profitable or showed a low future growth potential. WHY IS 5G SO IMPORTANT? 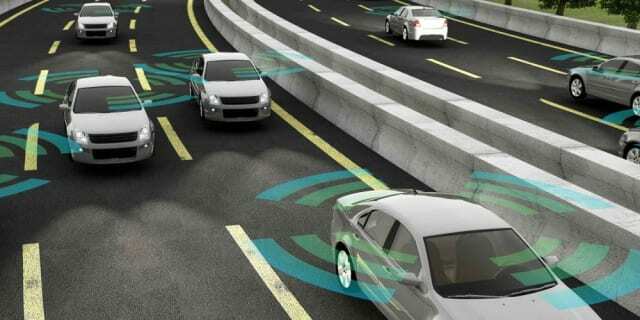 The next generation high-speed 5G technology will be essential for the realization of autonomous vehicle systems. 5G systems can process data up to 66 times faster than the old 4G networks, and for self-driving cars every millisecond counts. While the older, established 4G technology ideally could manage 15-25 milliseconds to react—for example, telling the car behind that it started an emergency breaking procedure—5G will react in 1 millisecond. This is only one example of how much processing speed will mean in the connected future. Ericsson is one of the leaders in this technology, and systems will be up and running by 2020 according to the company’s plans. Speed seems to be one of the critical success factors in today’s IT technology. The capacity to process enormous volumes of data in the shortest time possible is paramount to many new technology areas and business models. Take autonomous cars, for instance. Processing speed is not only a matter of making connected, self-driving cars a reality; rather, these capabilities will enable new business models where you no longer buy a car, but instead a transportation service where you can buy access to online services while driving the car—from requesting more horsepower to listening to music, finding a parking space and performing maintenance. 5G will contribute to make this possible. 5G systems can process data up to 66 times faster, and for autonomous cars every millisecond counts. While the older, established 4G technology ideally could manage 15-25 milliseconds to react—for example, telling the car behind that it started an emergency breaking procedure—5G will react in 1 millisecond. Ericsson has invested $15 billion in 5G systems over the last three years, and the first of these systems are planned to be up and running by 2020. PASSING A 5G MILESTONE. 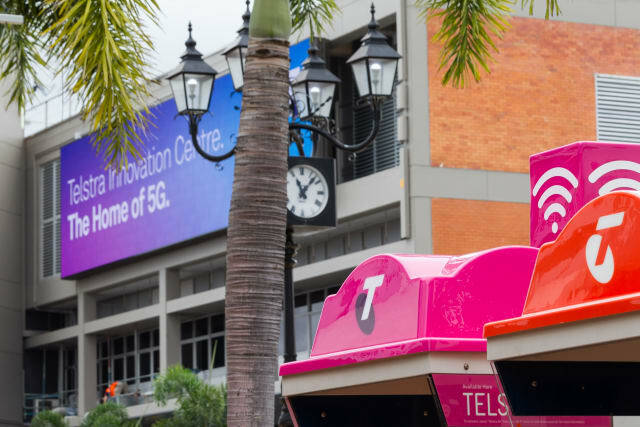 In a July 2018 milestone event on Australia’s Gold Coast, Ericsson, Telstra and Intel successfully completed the first end-to-end 5G non-standalone (NSA) 3GPP data call on a commercial mobile network. The call was the first of its kind over the 3.5GHz spectrum, bringing together the core components from multiple companies required for a real commercial 5G network call. How far has 5G come? Quite far, and in early July this year Ericsson was a part of the first end-to-end 5G non-standalone (NSA) 3GPP data call on a commercial mobile network at Telstra’s 5G Innovation Centre on the Gold Coast, Australia, in a multivendor setup. With this achievement, the companies have taken 5G out of the lab and into a real-world mobile network environment. The call was the first of its kind over 3.5GHz spectrum, bringing together the core components from the multiple companies required for a real commercial 5G network call. “We’re quickly moving towards 5G being a commercial reality. 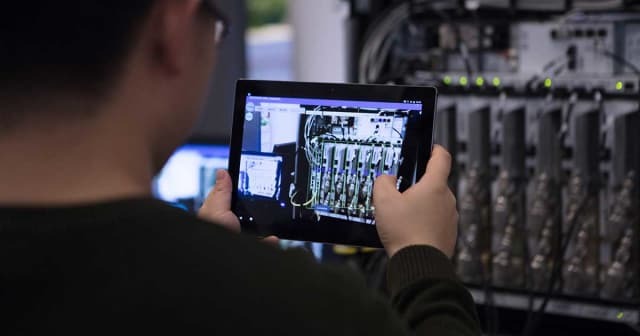 Achieving the first commercial data call with our partners Telstra and Intel shows the progress we’ve made from testing the technology in a lab to a 5G commercial network environment. 5G is open for business and Ericsson is helping customers get it done,” commented Fredrik Jejdling, EVP and head of networks at Ericsson. EXPECT MASSIVE CHANGES. 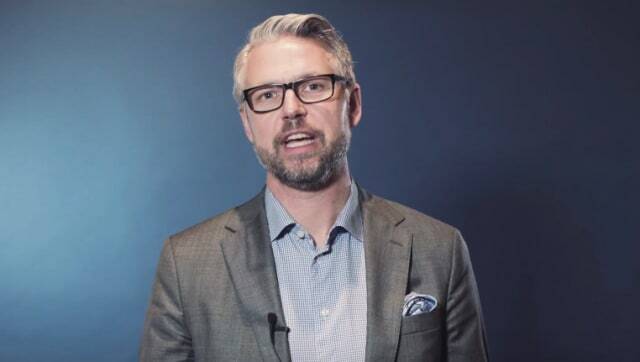 Ericsson’s evangelist, Erik Kruse, is one of the people behind Ericsson's vision of 50 billion connected gadgets and the connected community. Together with the researchers at Ericsson Networked Society Lab, he studies the radical changes that will take place in everything from education and healthcare to power transmission and industrial processes. This forms the foundation for Ericsson's vision of the “Networked Society." With the upcoming pervasive data access, we’re going from infrasturcture to infostructure, Kruse claims. What effects will this have? “It will have massive effects, because suddenly you have data that you can reach and if you analyze the data in the right way then you can actually do actionable insights,” he asserts in engineering.com’s TV report. The mobile network world is changing, and Ericsson’s networked society evangelist Eric Kruse is knowledgeable about the development trends leading to that vision. What are the challenges here? “I think the challenges are mainly about a mindset shift, because if you have been in hardware for twenty years or longer and then moving over to software and services, it’s both a shift of business model and a shift in the way of working and how you produce things,” Kruse says in today’s TV report. HURDLES TO OVERCOME. 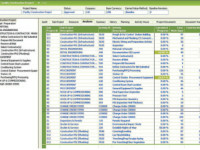 One of the important parts of Ericsson’s platform exchange was to leave its former IBM mainframe environment PRIM, which used Dassault's ENOVIA V5/Matrix 10 as its PDM system. 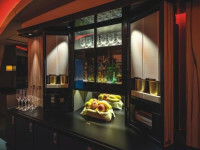 The intention was to move over to Dassault's 3DEXPERIENCE/V6 architecture with ENOVIA V6 as a configuration and database engine to replace PRIM. The question is how far this transformation has progressed. A system swap of this magnitude is hard to carry through, and very few plans survive the meeting with implementation realities. According to Dassault, “plans mainly worked as intended,” but as Mårten Gustafsson says in our TV interview: “All products have ups and downs and there are more or less hurdles to overcome,” adding that they do overcome them. No doubt they do; however, a reasonable assumption is that it takes longer than planned. They have made a number of great advancements, but according to my sources inside Ericsson, PRIM is still there and the final replacement of it has been postponed to March 2019. “They need to think about using either the product or the company as a platform for collaboration with competitors, ecosystem partners and customers to speed up development and also increase the value. Spotify is a good example: playlists that you can share is a way of finding and exploring new music. For a small sum, you buy access to 30 or 40 million songs instead of, as it was before, paying the same amount for a piece of plastic. They don’t charge extra for the great diversity. Spotify is a good vehicle to actually use the service even more; it becomes a platform for co-creation of value,” said Kruse. But the Spotifys and Ubers of the world are one thing; now digitalization is also moving into how old traditional companies need to be organized in order to reap the benefits of digitalization—and that is much harder, stated Kruse. Erik Kruse is not alone in emphasizing the importance of being able to act fast. Ericsson’s CIO, Johan Torstensson, agrees and during a recent PLM presentation he came back to this idea several times. “Technology development is going so fast and is so disruptive today that it’s hard to predict what will happen three or four years ahead. This means that the PLM system we have has to be fast, agile and easy to scale up or down in conjunction to how things develop,” he said. Torstensson also pointed out that, “we have so many smart guys in R&D, but they need time to innovate and invent new things.” Speed in the system is one of the things that can create this kind of time. “It’s my job to see to it that the workspace is digitalized, exciting and able to give time back to the business, and of course also to our end-users. We’ve had enough of ‘stolen’ time by systems with slow performance in applications that take forever and are hard to use,” Torstensson said. 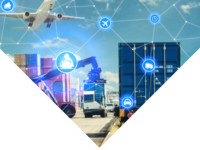 The latter is also connected to advantages Ericsson saw in the 3DEXPERIENCE (3DX) platform and the partnership with Dassault Systèmes. Before 3DEXPERIENCE, Ericsson had a highly customized mainframe system. It had its advantages, but according to Torstensson, the system couldn’t cope with modern IT demands. Both from an internal and a customer perspective, the system had to be broadened and equipped with digitalized functionalities. 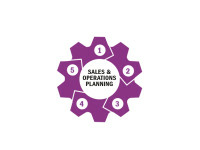 To explain it simply, what Ericsson does is to develop, sell and deliver. It’s a simple loop, so how hard can it be to make the data flow seamlessly across this loop? That was one of the issues a few years ago, which lead to the system swap Ericsson went through starting approximately two years ago. What did Ericsson want from the new system? Who has the roadmap for the future? 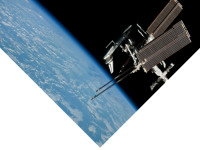 Who will help us, as a partner, to become cutting-edge competitive? Who has an application that actually makes life easier for our end users? Who has the right price for this? The answer was Dassault Systèmes. How Did the Implementation Work? Ericsson’s 25-year-old mainframe couldn’t deal with the issues discussed above, so they moved to Dassault’s 3DEXPERIENCE platform. 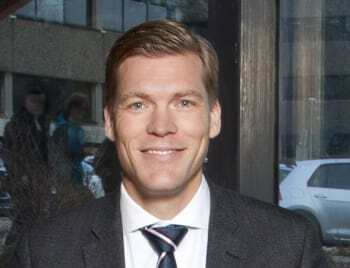 “How does the implementation work,” I asked Dassault’s Mårten Gustafsson in the TV report. Gustafsson is head of Scandinavian operations at Dassault, and the man behind the mega-deal with Ericsson. According to the original plan, the goal was to have the system up and running in 15 months, a period that has now passed. Has the goal been achieved? My take on this is that a system swap of this magnitude is hard to carry through, and very few plans survive meeting with the realities of implementation. One of the important parts of Ericsson’s platform exchange was to leave its former IBM mainframe environment PRIM, which used Dassault's ENOVIA V5/Matrix 10 as its PDM system. 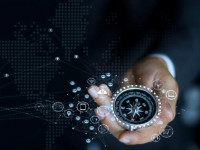 The intention was to move over to Dassault's 3DEXPERIENCE/V6 architecture with ENOVIA V6 as a configuration and database engine to replace PRIM. The question is how far this transformation has progressed. According to Dassault, “the plans mainly worked as intended.” But as Mårten Gustafsson says in our TV interview, “All products have ups and downs, and there are more or less hurdles to overcome,” adding that they do overcome them. No doubt they do; however, a reasonable assumption is that it takes longer than planned. They have made a number of great advancements, but according to sources inside Ericsson, PRIM is still there and the final replacement has been postponed to March 2019. 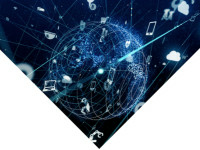 Interested in hearing more from Mårten Gustafsson and about Ericsson, Dassault, PLM and the path to a networked society? Watch today’s TV report.